It’s hard to believe “The Blacklist” series regular, Dembe Zuma, did not exist in the original script. Played by actor Hisham Tawfiq, it’s difficult to imagine a Reddington without the loyal and protective Dembe by his side. “I remember going in for that audition and there were no lines. I basically had to create my own character just from the foundation that they gave me. So I took all of that from my life,” said Tawfiq. His story is the epitome of giving of yourself to serve your community. He is aptly named Hisham which in Arabic means “generous” or “one who shares.” While this is a popular name in the Middle East, it was not as popular in Harlem where Hisham grew up. Although it was a source of ridicule at times, he understood that he was destined to stand out and lead others. The Harlem-native drew inspiration from his experiences as a platoon leader in the Marine Corps, with the New York City Fire Department and his relationship with his father. He served in Operation Desert Storm, was a corrections officer at a prison, and a firefighter for twenty years. Those roles informed his discipline and stillness for his role as Dembe. The actor explained that as a religious leader his father was revered by many people and so he channeled the loyalty of his community toward his father and applied it to his character’s relationship with fugitive Redd. In one episode he even read a Muslim prayer, which he noted, “made it even more of a dream come true to be able to show this Muslim character, this African-American character who even though was a criminal in some sorts still had this moral compass and allegiance to Islam, which was one of the reasons he is this upstanding, righteous and loyal and trustworthy guy." 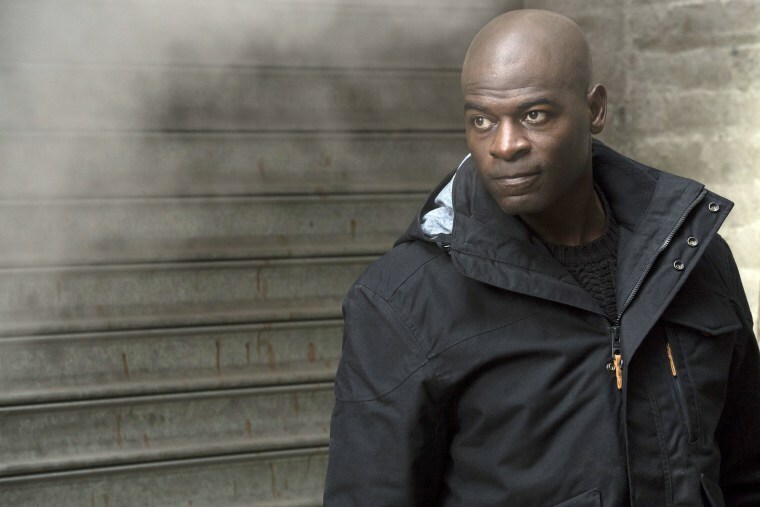 Tawfiq hopes that with the promotion of Dembe’s character the show will be able to tackle some of the misconceptions of Islam and Muslim Americans. While he feels that the media is principally responsible for demonizing Muslims in this country, he still believes it can also be used as a tool to knock out those false illustrations. “One of my torches that I’ll be carrying to the grave is spreading the word about the beauty of Islam,” he said. Unabashedly a member of #TeamLawrence and a self-proclaimed “sci-fi warrior dragon geek,” Tawfiq loves to tune into and live tweet shows like “Insecure” and “Game of Thrones.” Tawfiq enjoys comic books, dragons and all things GOT. Tawfiq has made his character so captivating that viewers have been begging for a spinoff to learn more about the stoic bodyguard. “There’s a lot that can be explored,” he said, musing that as a former child soldier, one idea would be a storyline created around a trip back to Sudan. One thing is for sure, the possibilities for this renaissance man are limitless. "The Blacklist" Premieres on Wednesday, September 27 at 8/7c.